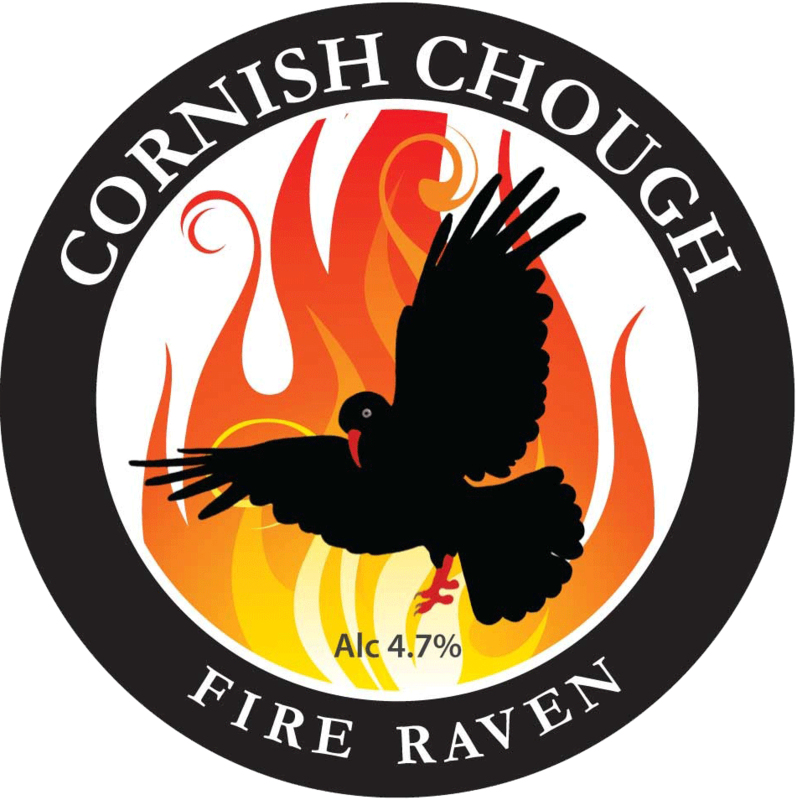 Cornish Chough Brewery produces five mainstream beers today plus a number of brews developed or blended specifically for local pubs, such as Witches Brew which we produce for the Witchball Bar and Restaurant on the Lizard. The naming conventions and branding adopted is pertinent to the brewery and the local area and is a format that we will continue to use. We also sell in bulk! 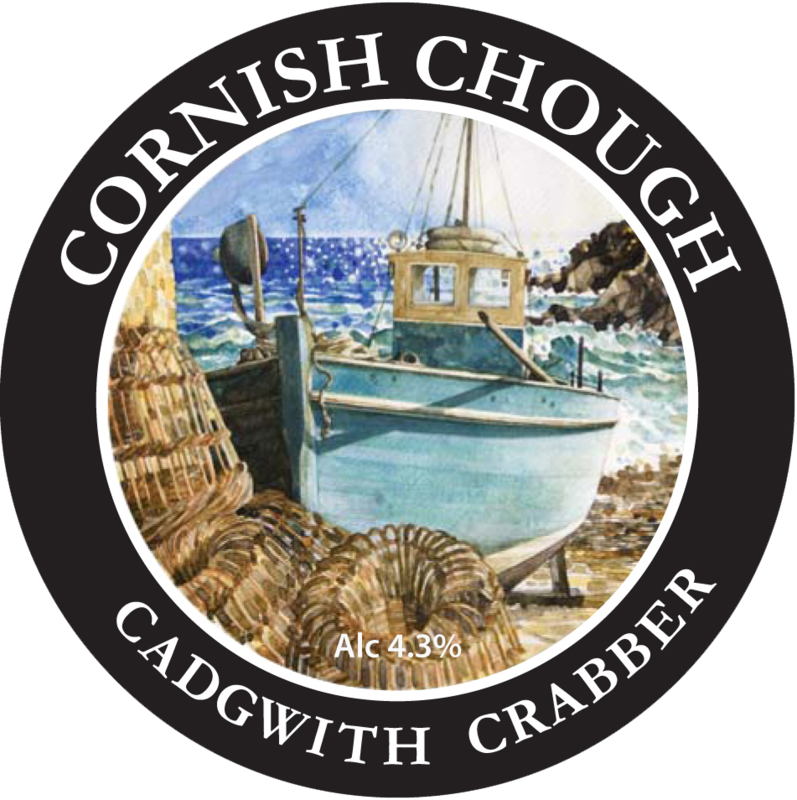 Cadgwith Crabber is a beautifully balanced golden premium beer with citrusy undertones, a clean refreshing finish and a light fruity aftertaste. The beer is extremely moorish. "... I meane not the common Daw, but one peculiar to Cornwall, and therethrough termed a Cornish Chough: his bil is sharpe, long, and red, his legs of the same colour, his feathers blacke, his conditions, when he is kept tame, ungratious, in filching, and hiding of money, and such short ends, and somewhat dangerous in carrying stickes of fire..."
Fire Raven pours a deep dark brown colour with a very nice tan coloured head. Aromas are nutty, with notes of heavily roasted malts, some light dark fruits, cocoa and mineral hops. This is a distinctive and full bodied Porter. A well balanced malt and hop aroma with a crisp palate and stringent roundness of flavour. Extremely good served chilled as a refreshing summer ale. 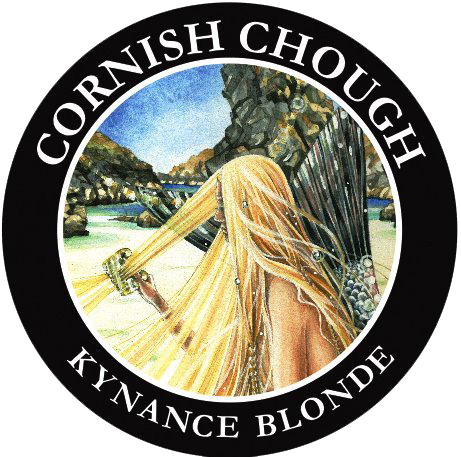 Named after the rock on which the brewery stands. 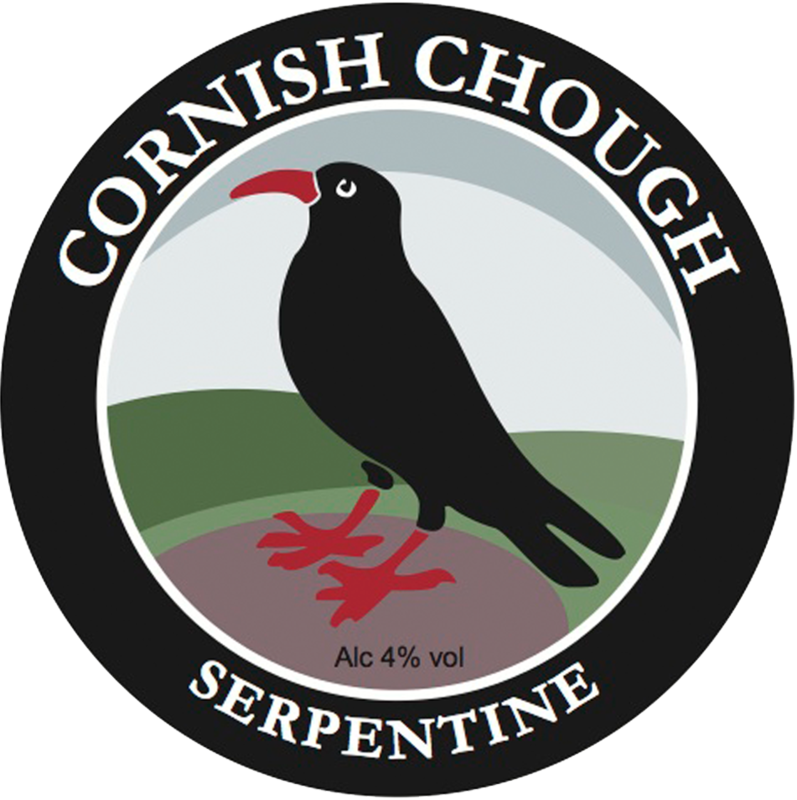 Serpentine is only found on the Lizard Peninsula. Serpentine is one of the rocks thrust up from underneath the crust, which was rich in iron and magnesium. When the Rheic Ocean crust became what is now Cornwall, peridotite, was changed to serpentinite, or serpentine - one of the Lizard's most beautiful rocks. Serpentine was made fashionable in the 19th century when Queen Victoria visited the area and commissioned a table made from Serpentine for Osbourne House on the Isle of Wight. It has a big malty nose, a bittersweet palate and a finish balanced by rich malt and tangy hops. 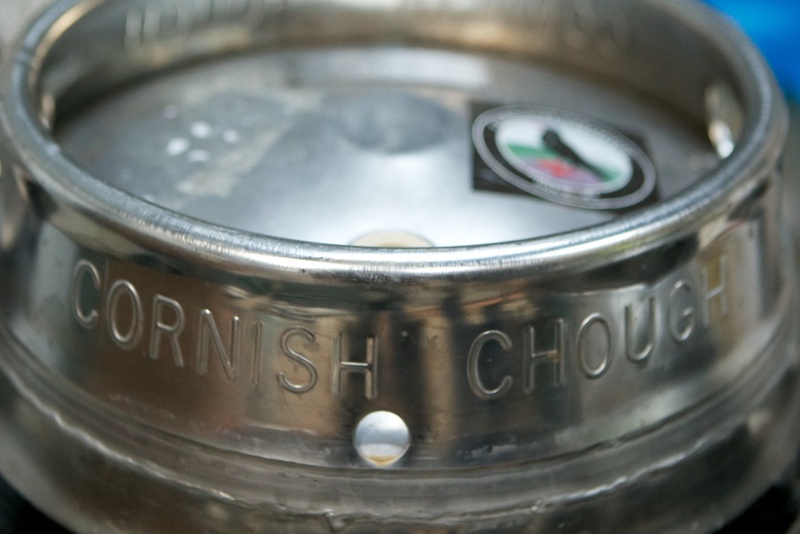 The beer is light ruby in colour and at its best served at room temperature. Lizard is the UK mainlands most southerly point. 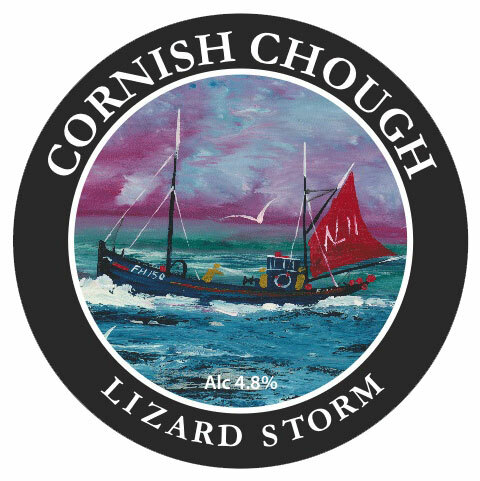 The waters around the Lizard Peninsula are famed for their treacherous stormy seas which have claimed many a vessel. 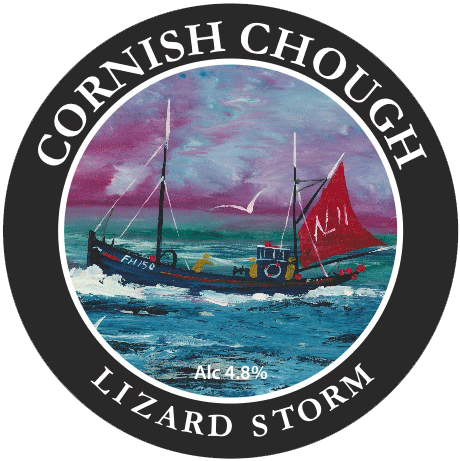 The name Lizard is derived from the Cornish name Lys Ardh meaning "high court"). It is purely coincidental that most of the peninsular is composed of a rock called Serpentine. 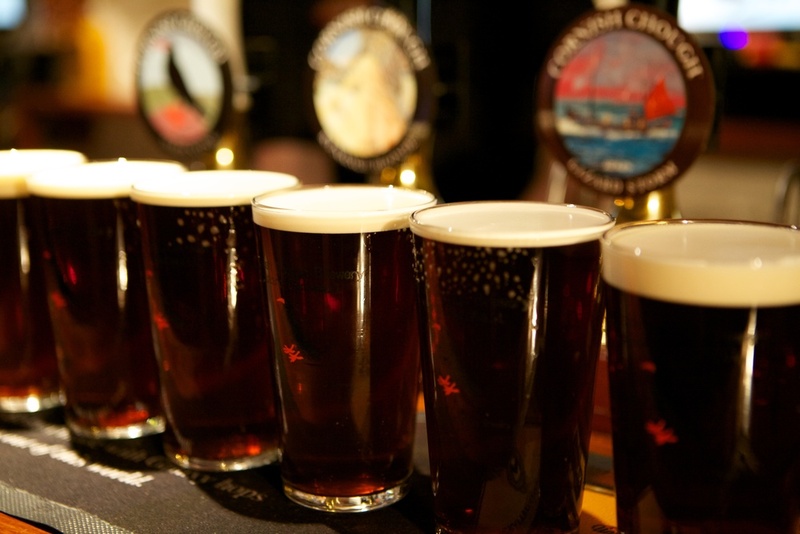 Historically the waters around the peninsular has been known as the "Graveyard of Ships"
A rich amber colouring with an opulent malt and hop aroma and an underlying spice and fruit flavour. If you are you a Pub, Restaurant or Club? Please Contact us for wholesale options. 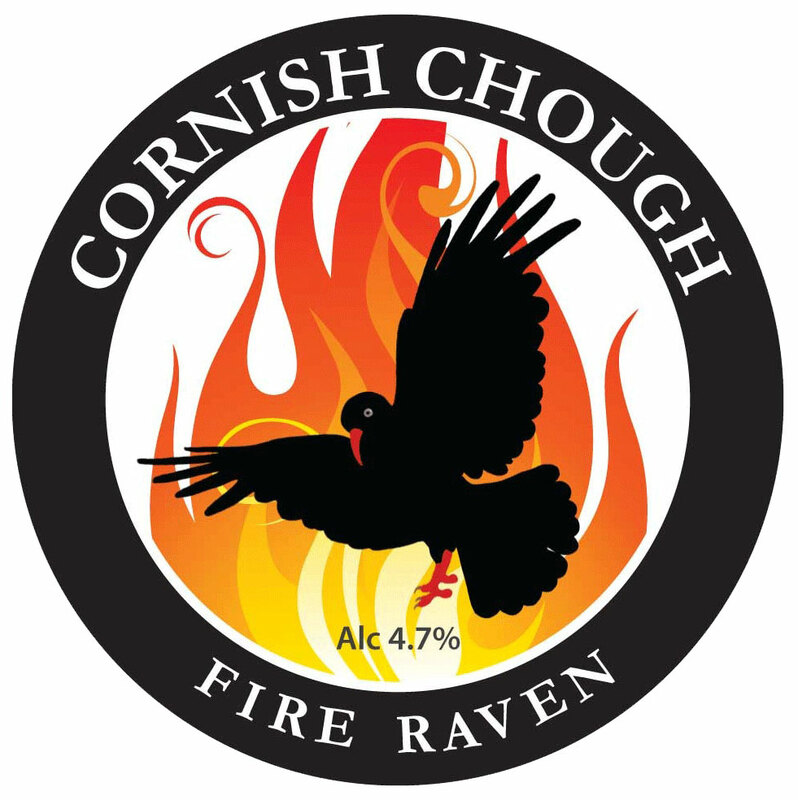 Cornish Chough Brewery is a local micro brewery affiliated to SIBA based on the lizard peninsular. 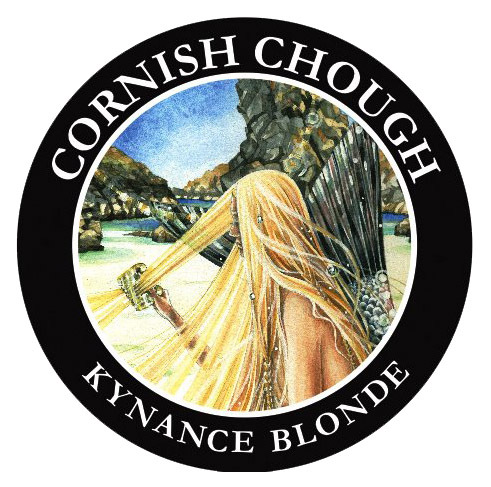 The UK Mainlands most southerly brewery!